Great tips! It's really hard to convince people the more drawing/doodling and just doing that you do makes a huge difference. We need to just let go of the fear and "I can'ts." You are so right! I should have put mindset as one of the things to be fixed. Gotta kick that "I can't" mindset to the curb. I hope your secret project has something to do with a ruler class for Craftsy - I'd sign up for that in a heartbeat!!! 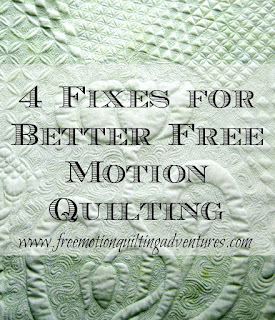 Thank you - I can always use some ideas and tips for free motion quilting. Thank you for the tips and the encouragement. I need a cheerleader, you are priceless. Well, comments like yours cheer me on! 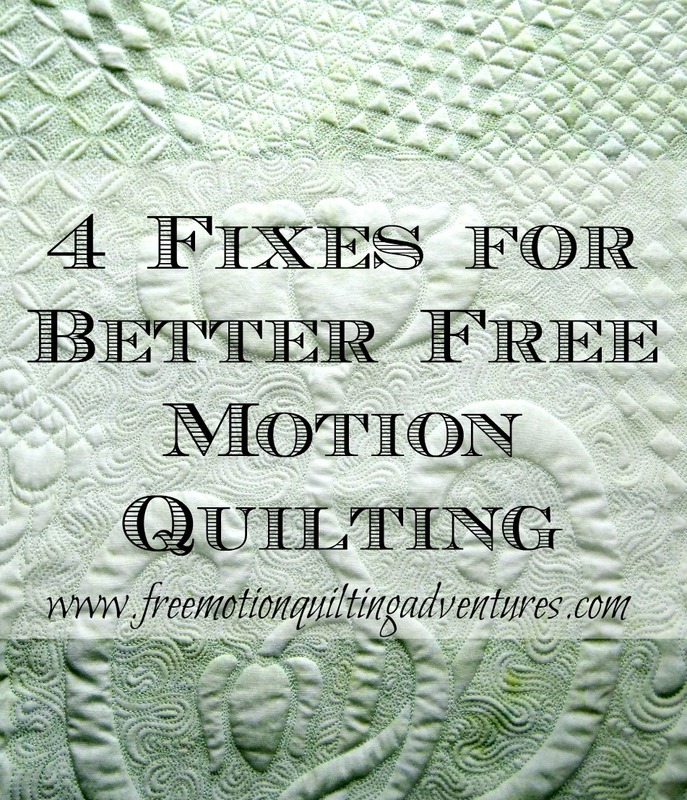 Wise words, even for those of us who have 10,000 hours into quilting! I get lazy and move my hands too fast (making long stitches); hold my quilt with one hand while I reposition the other hand; and don't doodle enough. One pass across a page of paper and I think that's enough. Sigh. Still so much to learn, and I sure appreciate these reminders! I think we all need them from time to time. My issues are my posture and getting tense. I tend to drop my head down to see better, which rounds my upper back. Not a good thing. 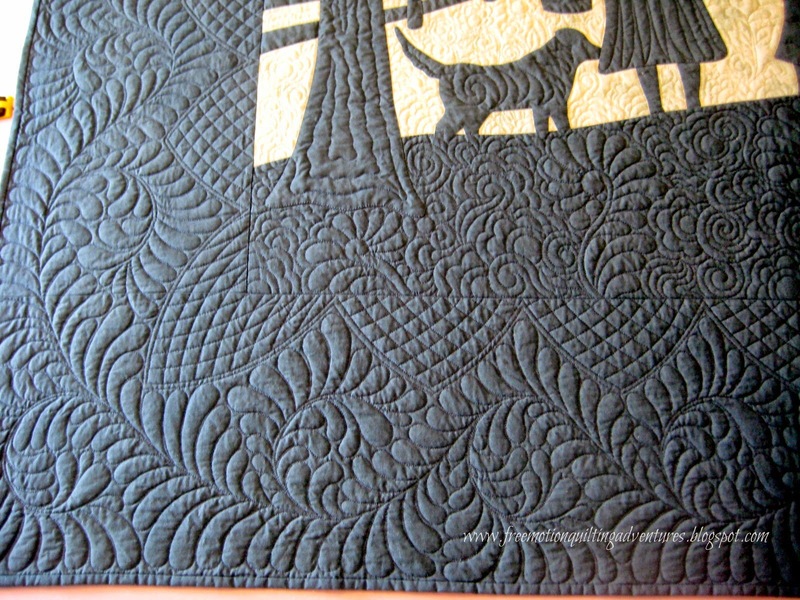 Question: When you were quilting on your 6600, did you use the single hole plate? It still has two holes and the actual single hole is in the left needle position. I wonder if I should move the needle over to that or did you find the center position on that plate worked ok? THANKS! 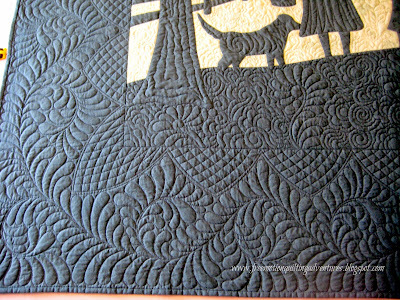 When I was about to try the feather meander, I read a post that suggested drawing in at least 100 times before attempting to quilt it. I naively scoffed at that but then I started drawing and found that I wasn't even CLOSE to making nice feathers until the 25th time or so. I'm still practicing before I attempt to quilt it but I'm sure it'll demand practicing this skill at least the suggested 100 times! Glad I bought a ream of really cheap paper!